Setouchi is the largest inland sea in Japan, surrounded by Hyogo, Okayama, Hiroshima, Yamaguchi, Tokushima, Kagawa, and Ehime prefectures. A waveless and calm sea, lands that look as they were drifting, and a large bridge that connects them. This is the scenery of Setouchi that we the people perceive. This region cultivates history through the sea and creates a broad assortment of tourist resources. These three thousand islands rising royally from waters hold such a special place in the Japanese mind. You will see not just natural attraction, but the core of what it means to be truly alive. Discovery, delights, and adventure, a world of experience await you in Setouchi. With its scenery, rich deep culture, even within Japan the Setouchi area is considered special. 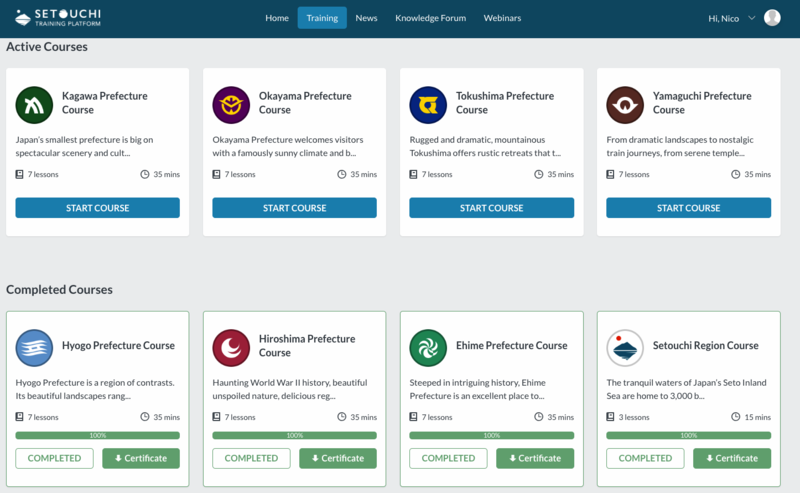 With an incredible effort, within the Mogul team, based in central London, the e-learning platform of the Satuchi Reflection trip comes alive. Wise use of UX design, and technologies have allowed us to recreate a cutting-edge platform that reflects the values and oriental graphics of the mother site. 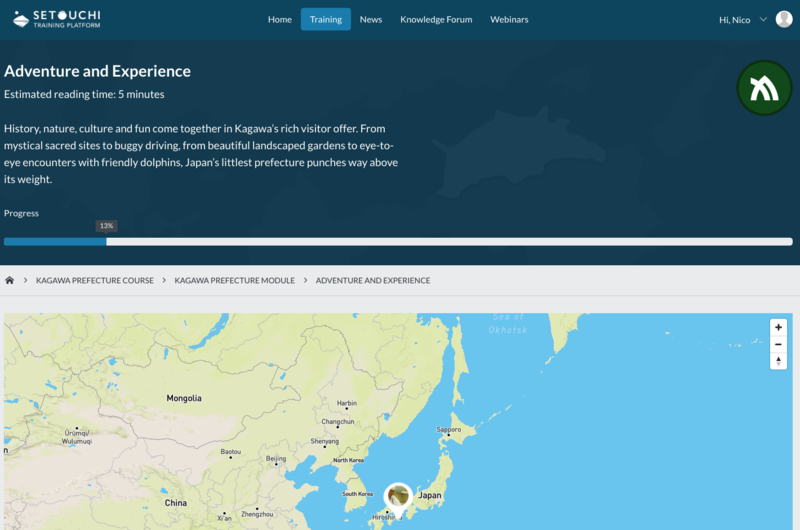 Interactive maps and new frameworks allow registered users to retrace the history of this Japanese region and learn all the necessary information, using lessons, sharing experiences in the forum and answering dedicated quizzes. 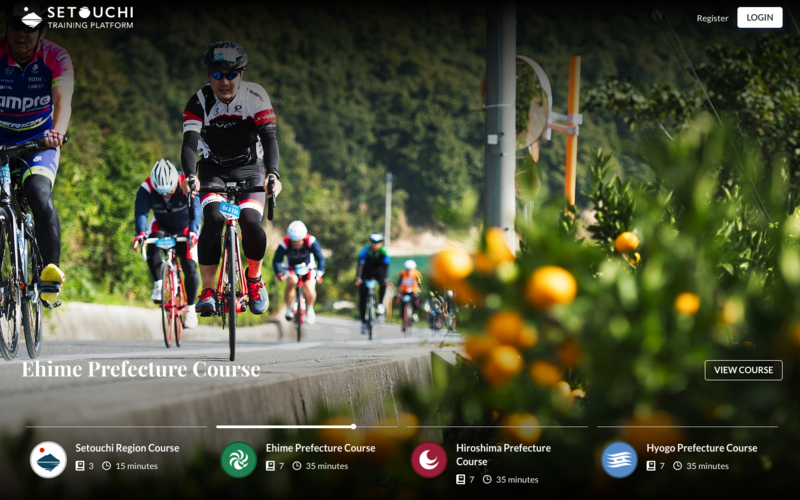 The e-learning platform for Satouchi trip went alive in the first months of 2019 and it is now ready to accommodate French users.